The following article from theNHF.com discusses the beneficial importance of Magnesium for a variety of health aspects, particularly dental and bone health. Other beneficial vitamins and minerals for teeth and bone health include Vitamin D3, Boron and Vitamin K.
So why is it then that these beneficial vitamins and nutrients are practically ignored by the mainstream? There is such a fanaticism about this toxic chemical being good for teeth, it is almost impossible to find a dentist that will say anything bad about Fluoride, but there is a reason. They are governed by a code of practice that prohibits them from saying anything bad about it. There is no dispute that Fluoride is toxic. How toxic is it? Acute Potential Health Effects: Skin: Causes skin irritation and possible burns, especially if skin is wet or moist. Eyes: Causes eye irritation and burns. May cause chemical conjunctivitis and corneal damage. Ingestion: Harmful if swallowed. Causes digestive (gastrointestinal) tract irritation and burns. May cause severe and permanent damage to the digestive. Ingestion of large amounts may cause salivation, thirst, nausea, vomiting, hypermotility, diarrhea, and abdominal pain. May affect behavior/ central nervous system/nervous system (headache, nervousness, dizziness, seizures, convulsions, tremor, muscle weakness, somnolence), respiration (respiratory depression, dyspnea), cardiovascular system (weak pulse, hypotension, dysrhythmias, cardiac arrest), liver, urinary system (polyuria, polydypsia) brain, metabolism (loss of appetite, hypcalcemia, hyperkalemia, hypomagnesia, ), teeth, bones, and blood (changes in red and white blood cell count, interference in blood coagulation) Inhalation: Causes irritation and chemical burns of the respiratory tract with coughing, breathing difficulty and possibly nasal septum perforation and coma. May affect bones. Chronic Potential Heath Effects: Chronic ingestion may cause fluorosis. So what are the sources of Fluoride? 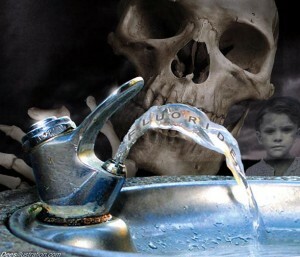 Currently, only England has significant amounts of water fluoridation (fluoride added to the water supplies). Everywhere has trace amounts of fluoride naturally found in the water supply but these levels tend to be relatively low and as such are not generally considered to be a great risk to health. Northern Ireland is not currently fluoridated, although the Republic of Ireland is the most heavily fluoridated country in Europe. See NHF Ireland for more details about the long-term damage of water fluoridation and their campaign to get it removed. There are currently no plans to fluoridate water supplies in Scotland. We have had confirmation from the Welsh Assembly that there are no plans to introduce water fluoridation to Wales. They advised that there is a scheme called DesignedToSmile which is targetting schoolchildren and encouraging the use of fluoridated toothpaste in schools. This scheme is currently being piloted around Wales. Our initial impression of this scheme are that the guidelines and warnings about Fluoride ingestion are insufficient and there although the scheme requires parental consent, there are no fluoride-free options within the scheme. Additionally, it appears that the teachers are to be trained to supervise the children brushing themselves. We have yet to see how this would be practicible with a class full of children! We need more details about this scheme other than what is published on their website. If you know of anyone who has their children in a school operating this scheme, please contact us! 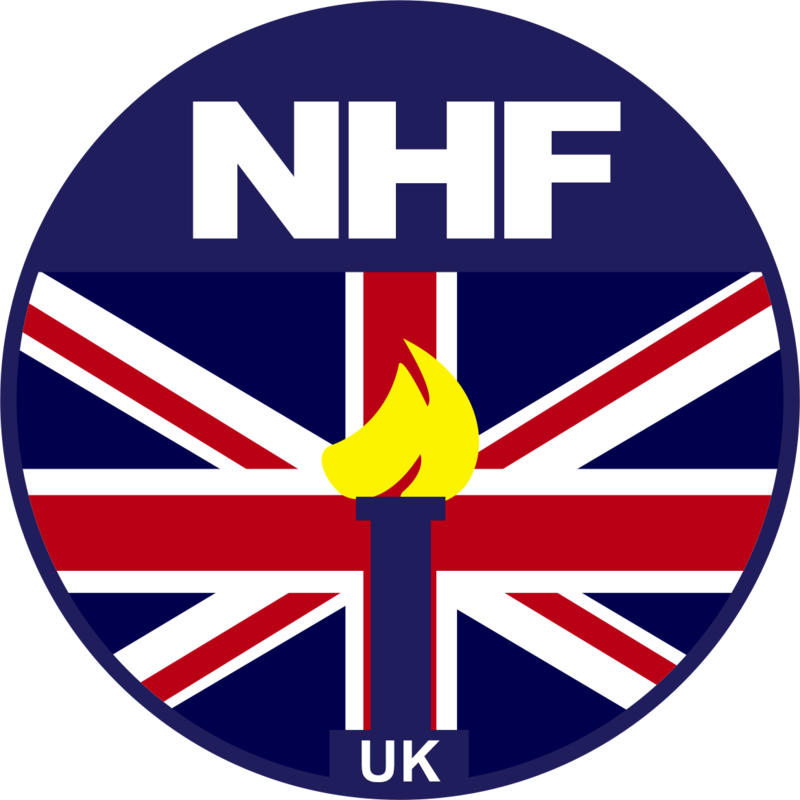 In England, the decision of whether or not to fluoridate is in the hands of the LHA (Local Healh Authority). ‘The Health and Social Care Bill’ going through Report Stage in the House of Commons from tomorrow devotes a relatively significant section of its 460 pages to reforming the decision making about water fluoridation in a local area. Currently, only a few areas in England have fluoridated water supplies. The West Midlands has and extensive fluoridated area. Fluoridated toothpastes and dental varnishes etc. Fluoride toothpastes range from about 1000ppm (Parts Per Million) Fluoride to 1500ppm+. Prescription toothpaste contains approx. 5000ppm. This equates to over 1% Fluoride. Some dental varnishes have over 20000ppm Fluoride (5%). Fluoride in this concentration represents a huge potential risk to individuals. Although toothpastes always have a warning “do not swallow” or similar on the box, it does not say what the risks are. Indeed often the only risk acknowledged from fluoridated products and the dental profession is the risk of dental fluorosis! By the time you have ingested enough fluoride to manifest itself on your teeth in the form of dental fluorosis, you can be pretty sure you have a toxic build up of fluoride in your system. As for the varnishes and other dental applications, all these will eventually be swallowed as they wear off your teeth while you are eating so these pose a huge risk.